JACKSONVILLE, FL, June 01, 2018 (GLOBE NEWSWIRE) -- Drone Aviation Holding Corp. (OTCQB: DRNE) (“Drone Aviation” or the “Company”), a manufacturer of tethered drones and lighter-than-air aerostats today announced that it will provide a livestream of B&H Photo’s Aerial Logistics and Emergency Response Technology Expo. The expo will be held at Suffolk County Police Headquarters where the FUSE Tether System will be demonstrated in partnership with Drone Nerds. Scheduled for June 5, 2018 in Yaphank, New York, representatives of over 200 local departments and agencies from around the New York-area including the FBI and Secret Service, the New York Police Department Counter Terror Unit, and Nassau and Suffolk County Police and Fire departments, have been invited to attend the event. 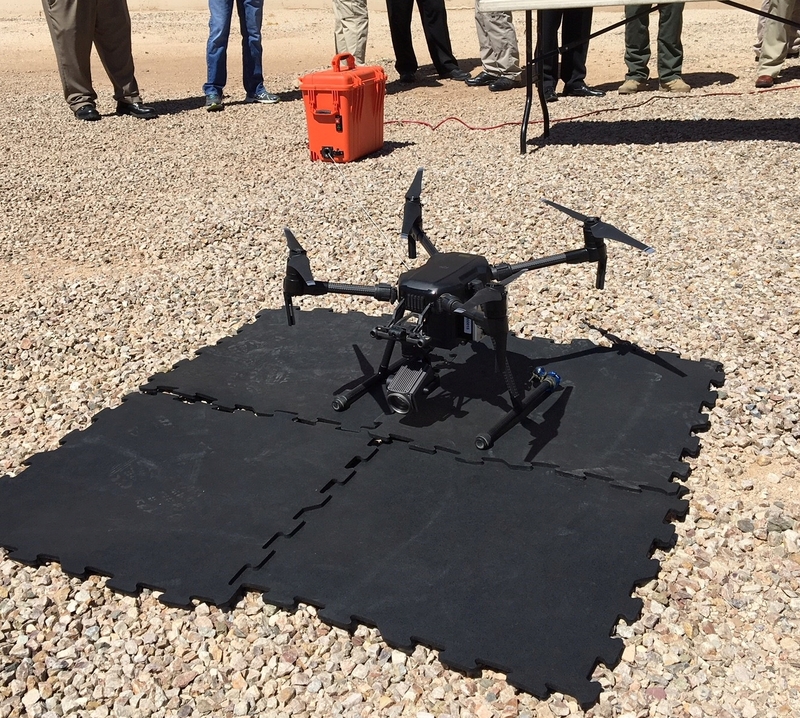 “Interest in Drone Aviation’s tether system continues to grow as law enforcement and first responders increasingly recognize the tremendous value that longer drone eye-in-the-sky flight duration can have on their operations. Furthermore, as we are now demonstrating, tethered drone technology can provide access to altitude for monitoring and surveillance applications filling the gaps created by current aerial platforms such as helicopters which are expensive to operate,” said Jay Nussbaum, Chairman and CEO of Drone Aviation. The FUSE Tether System is powered by a proprietary mix of hardware and software in a customized power pack and an Automated Smart Tension Control Winch Case with 200 feet of tether supporting 110-volt ground power sources such as portable generators. With the FUSE tethering system, DJI Inspire 2 and M200 users can dramatically and cost-effectively increase drone flight time with uninterrupted power from the ground while benefiting from improved safety. Safety is enhanced by FUSE’s use of an onboard backup power pack and tether connected to the Company’s proprietary automatic tether tension management system. FUSE is based on the same military-grade advanced technology utilized in the Company’s tethered products sold to the U.S. Department of Defense. 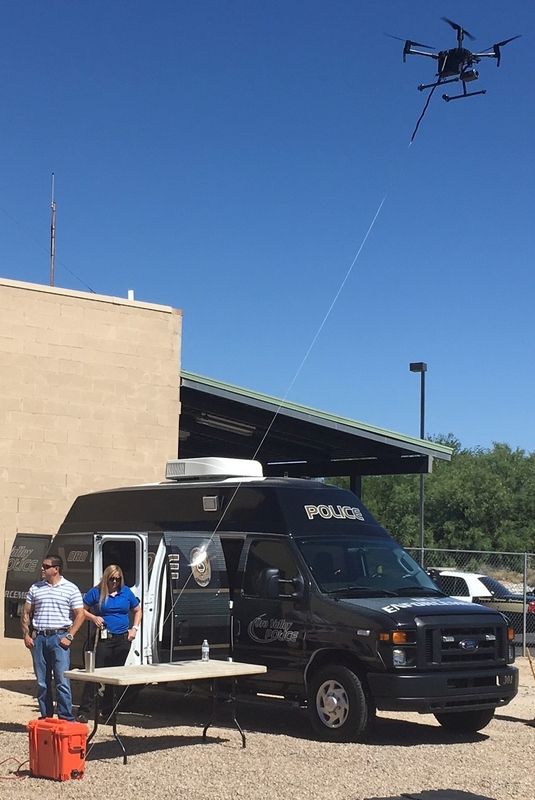 To learn more about the FUSE Tether System visit here and follow Drone Aviation Corp. on Facebook, Twitter, Instagram and YouTube for news and updates. Statements in this press release that are not historical facts are forward-looking statements that reflect management’s current expectations, assumptions, and estimates of future performance and economic conditions, and involve risks and uncertainties that could cause actual results to differ materially from those anticipated by the statements made herein. Forward-looking statements are generally identifiable by the use of forward-looking terminology such as “believe,” “expects,” “may,” “looks to,” “will,” “should,” “plan,” “intend,” “on condition,” “target,” “see,” “potential,” “estimates,” “preliminary,” or “anticipates” or the negative thereof or comparable terminology, or by discussion of strategy or goals or other future events, circumstances, or effects. Moreover, forward-looking statements in this release include, but are not limited to, those relating to: commercial acceptance and interest in drone technology and the continuation of growing demand for drones for military and state and local law enforcement authorities. The Company’s financial results and the forward-looking statements could be affected by many factors, including, but not limited to, demand for the Company’s products and services, economic conditions in the U.S. and worldwide, changes in appropriations by Congress and reduced funding for defense procurement and research and development programs, and our ability to recruit and retain management, technical, and sales personnel. Further information relating to factors that may impact the Company’s results and forward-looking statements are disclosed in the Company’s filings with the SEC. The forward-looking statements contained in this press release are made as of the date of this press release, and the Company disclaims any intention or obligation, other than imposed by law, to update or revise any forward-looking statements, whether as a result of new information, future events, or otherwise.